Remember the days when DJ controllers came with vague instructions about getting them working with any number of different software options, with possibly a hard-to-install, badly documented DJ program in the box? We do – we had mailbags full of people wondering why “the same thing is coming out of my speakers as my headphones”, or complaining that “I move the fader but the screen controls stay stuck”. Plastic in construction but packing a decent weight, it looks like a larger, slimmer Pioneer DDJ-Ergo: white base, rounded corner, matt black top panel. The low-slung, brushed-metal-topped jogs are large and smooth, and the controls are in various shades of grey and white. 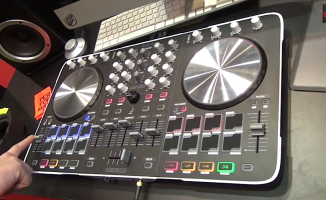 Due to the relatively large size of the unit, everything is well spaced out, and with the sampler fader up the middle of the mixer section meaning there are a total of five faders central to the design, it bears more than a passing resemblance to more expensive controllers like the Pioneer DDJ-SX. The layout is spacious and intuitive, with the nowadays ubiquitous pads at the front of each deck. The front proudly bears the “Reloop” and “Serato” logos, which is also where you’ll find the mic input (1/4″ TRS with its own volume control) and both 1/4″ and 1/8″ TRS headphones sockets. Meanwhile around the back is a single USB socket for attaching to your computer, and a pair of stereo RCA outs. Input and output-wise, it’s about as simple as controllers come. Most of the expected controls are present and correct, with Serato’s standard two FX sections, four line channels with gain controls (thanks, Reloop – some manufacturers don’t bother with these, and they are important), both volume and cue mix controls for the headphones, a master volume, and full transport controls including CUP. 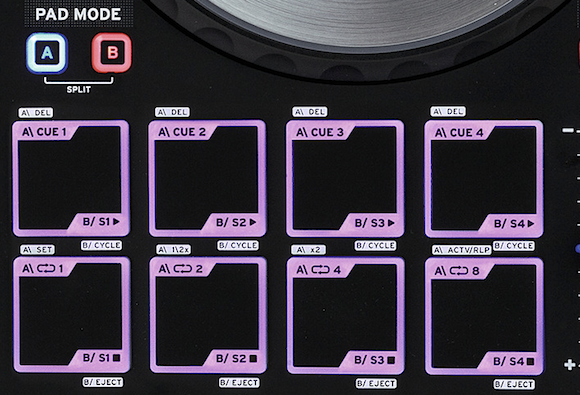 The “shift” modifier gives a range of extra controls like a censor, sync on/off, fader start and pitch range. The pitch controls themselves are short and not very accurate, although they’re just about OK at +/-8%, but there are pitch -/- buttons too for nudging. Speaking of which, I couldn’t see any way to turn “vinyl” mode off for the jogs, so for using the jogs to nudge, you need to be careful to only touch the plastic outer rim at all times. The most impressive individual feature about the unit for me is the loose crossfader (better feeling than that in the Pioneer DDJ-SX we are using here right now! ), the least impressive being the lack of any on-board VU meters; Serato’s software has them on-screen, but they work differently to gain-tied VUs on mixers, and it’s something that’ll irk anyone used to using VUs to level their channels in the old-fashioned way. As is the way with modern controllers, the jogwheels have been pushed up the unit to make way for the performance pads. 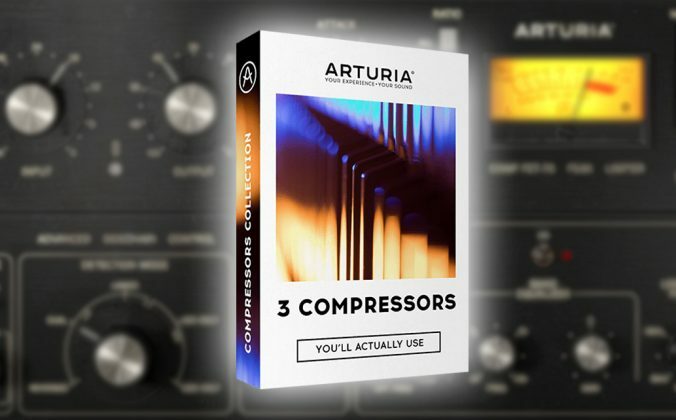 These pads are responsive and good quality, but they only control cues, samples and limited looping – no manual loop, loop roll, slicer etc as with better pads and Serato DJ “proper” (as opposed to the free Intro version bundled with the unit). They do have a “split” mode though that lets you split the pads to have four cues on the top row and trigger four samples on the bottom row. Good quality multi-function performance pads sit below each jogwheel, although note they’re two-colour, not RGB. 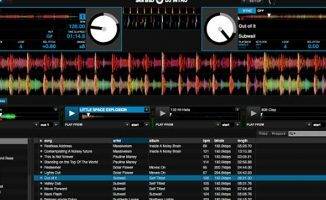 For controlling Serato DJ Intro as supplied, the controller is basically a great match. The jogs are big and responsive with intuitive rotating LED rings to show a track is playing, everything’s nicely laid out with plenty of space, you get full four channels of software control (you only used to have two channels on Serato DJ Intro controllers, a limitation that’s recently been lifted), and when you’re sync DJing, everything’s as simple as can be. Auto gain makes the lack of VUs, not a dealbreaker, and while personally, I found the way the pad functions were laid out on two layers plus a split mode to be a little confusing, once you get the hang of it it’s not too bad. Serato DJ Intro does have limitations, the biggest ones for me being the inability to record your sets easily, and not being able to loop below a single beat. Tie that to having no manual looping at all and I felt constrained by the controller after a while. 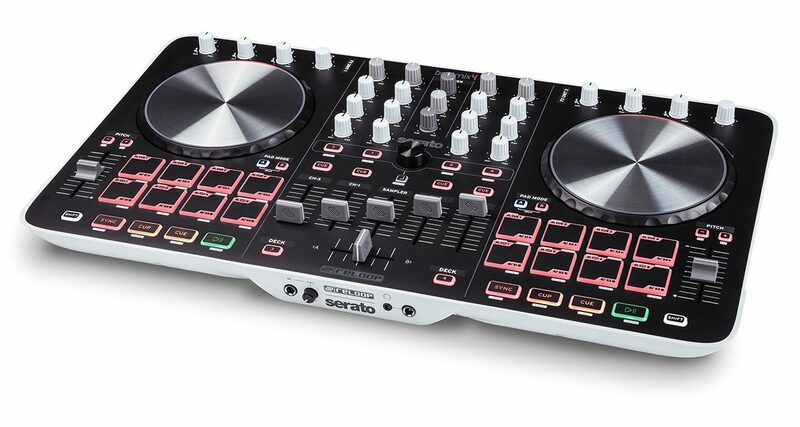 Even if you upgrade to Serato DJ (the paid-for, all bells and whistles version of the software), you get little extra control hardware (no manual looping, for example), and so I have to say this controller is not the best choice if you think you’ll ever want to make that upgrade. Manual looping is something that I really think shouldn’t be optional on DJ controllers, as often we need to make loops from non-EDM tracks where the auto looping isn’t very good at the job. 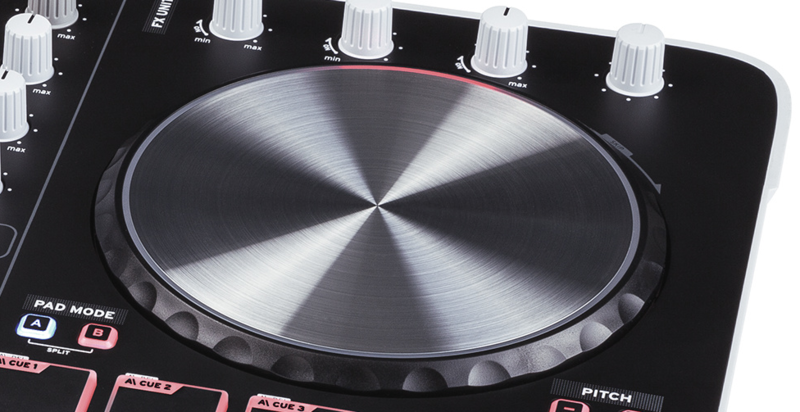 However, for most of my hour or two DJing using the unit, I felt quite at home on it, because Serato DJ – even in its cut-down Intro form – is very capable software, designed to get “out of your way” and let you do your thing with the music, which is just how things should be. The Beatmix’s buttons felt first and responsive, the LEDs are bright beneath them, and the pads are equally reliable, if a little dim – not full RGB, though). And while it’s not really my thing, the way samples have been implemented means that for DJs wanting to have their own drops and idents ready to go, the pads give easy control, and the central line fader offers intuitive volume control for the lot of ’em. So for the money, you have to expect limitations: Limited inputs and outputs, reduced software functionality due to Serato DJ Intro being supplied, and the fact that the unit isn’t a perfect “fit” for the full version of Serato mean that there’s clear water between this and more expensive controllers, both in Reloop’s own range (such as the Terminal Mix 8) and from other manufacturers (we really like the Denon MC6000 Mk2 as an all-bells four-channel Serato controller, and then, of course, you have Pioneer’s DDJ-SX, among others). Add in a lack of VUs and manual looping and you’re seeing where the savings have been made – of course, it’s quite a big saving over some of those just mentioned. But let’s look at what you do get: Good build quality, albeit in plastic. Great feel. Well-lit, durable controls, including an awesome crossfader. Very easy to install and understand software, meaning you’re going to be up and running and sounding great (the 16-bit, 48kHz sound card is more than adequate) in no time at all. Full, four-channel control. 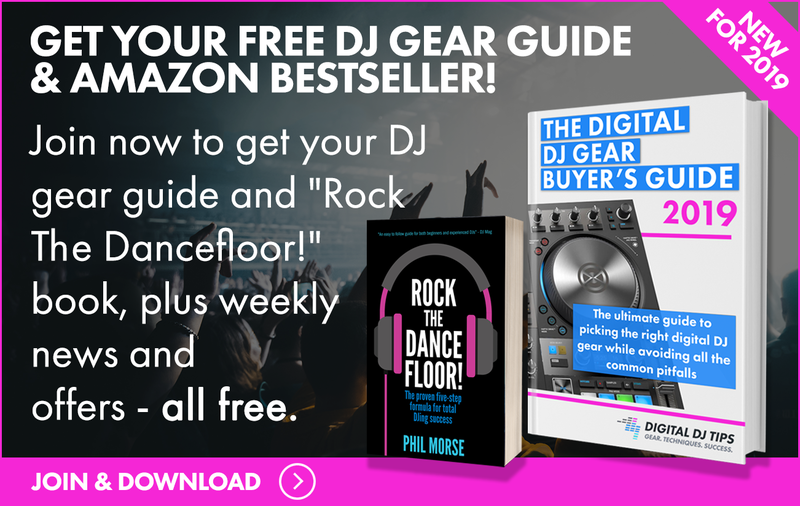 And here’s the thing: For many DJs, this is all going to be more than enough. 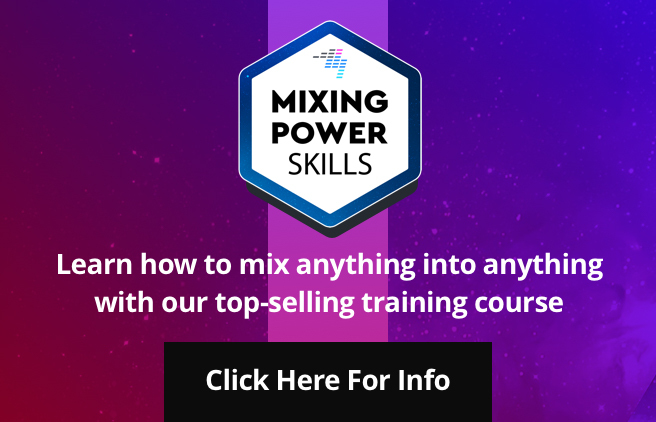 It’s only when you want to start refining your technical skills and learning pro techniques and skills that you may come unstuck with the Beatmix 4. Even then, a great way of adding to what you can do with it is using an iPad with Serato Remote and the full version of Serato DJ: Such a combination will give you all the bells and whistles you could possibly want, although of course, it makes it overall no longer such a cheap set-up – unless you already own an iPad, of course. 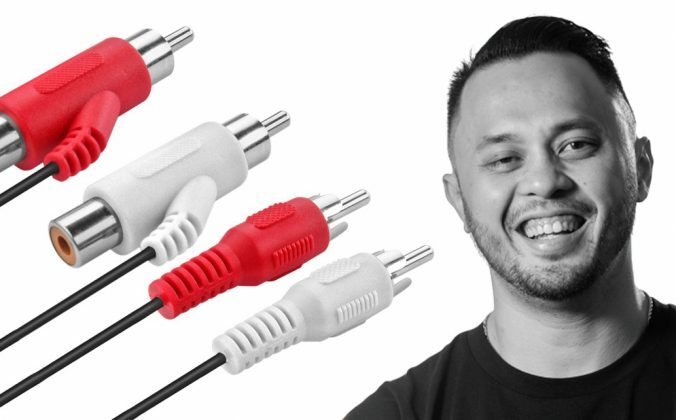 If you don’t really need four channels, you ought to definitely consider the Beatmix 2 instead. Although we’ve not reviewed it yet, it has the same design and would appear to be simpler and more portable for many DJs (and cheaper…). 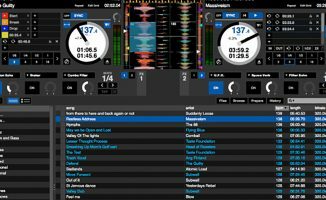 For home/hobby DJs, party DJs, DJs who only play in public every now and then (and by the way, the Beatmix 4 is fully up to the odd “public” gig), and those who don’t need full access to features like slicers, loop recording, fine pitch controls, extra input sources and so on, Reloop has nailed it with the Beatmix 4. 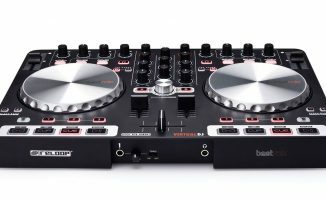 The only real competition for this unit around this price point is the Numark Mixtrack Quad (which nowadays also works with Serato DJ Intro, unlike at launch), but that controller lacks gain controls and is far more cramped. For these reasons, we think the Beatmix 4 offers a better user experience than the Mixtrack Quad. 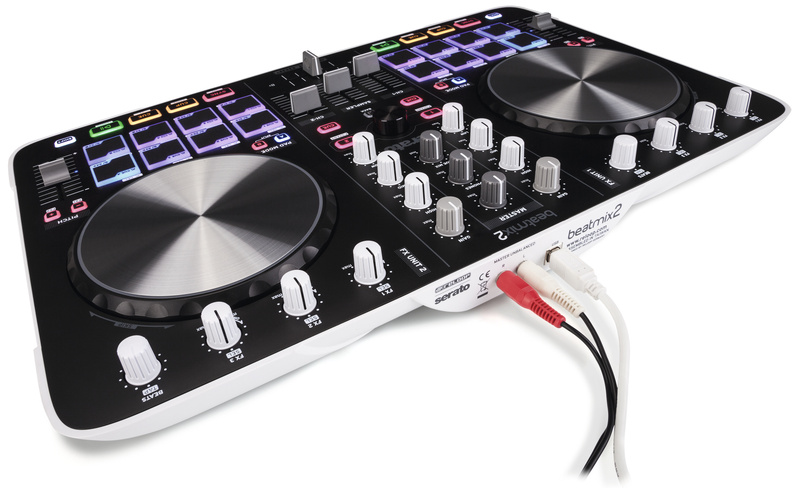 My only point for any DJ tempted by the Beatmix 4 would be to work out whether you really need four channels at all, because if you don’t, the cheaper Beatmix 2 (not yet reviewed) offers exactly the same functionality across two decks, which is more practical and easier to use due to its smaller size and less complex control surface. 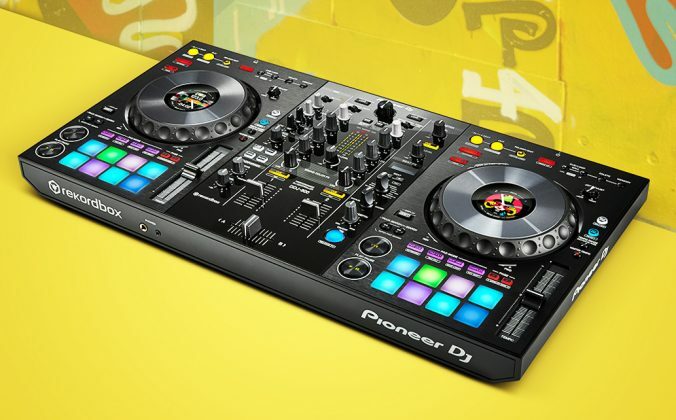 • At launch, this controller was offered for a limited time with the full version of Serato DJ. 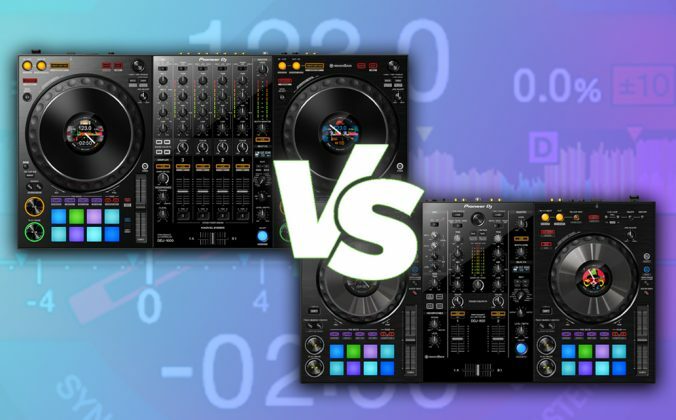 The reviewed model came with just Serato DJ Intro, but if you can find it with the full version, it represents even better value as it saves you around $120 on the upgrade fee. TM4 is an excellent controller, you lose the pads (many DJs don’t care about that) and as you say, gain pro construction and features. Very good review, pretty much sums up also what I experienced in my playing with the unit at Musikmesse. I have to say however that the full Serato DJ is still a very good match (and is still available as a bundle for a bargain price), if only for better looping, color cues and iZotope effects. Also adding a cheap addon controller like a nanopad should be very easy if you outgrow the unit, without the need to upgrade fully to something else. 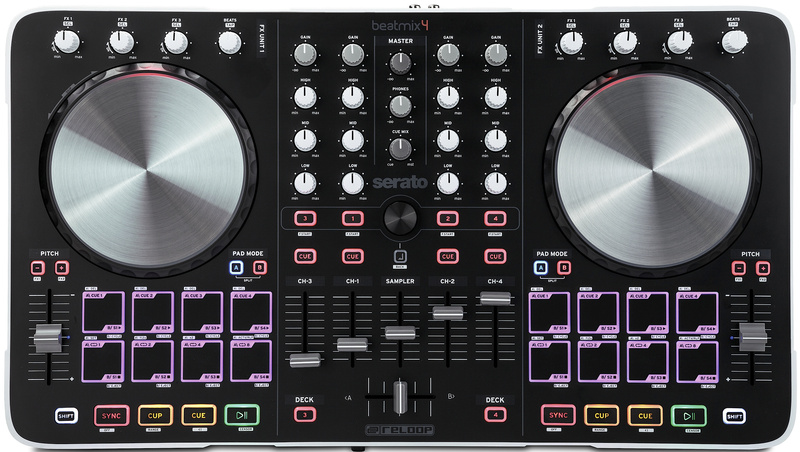 Agreed, as soon as you add on any other controller, you’re in – I just wish there were a bit more control over Serato DJ on the surface of this controller. I have to make a comment on the mention of Traktor in the introduction. From what I understand is that Natvie Instruments stopped working with other brands to push their own line of controllers, it was a conscious decision. Oh, we agree completely that it was a conscious decision. It is interesting to see how things have changed: Once upon a time, Traktor was supplied with loads of controllers, Serato with very few; now it’s the other way around. 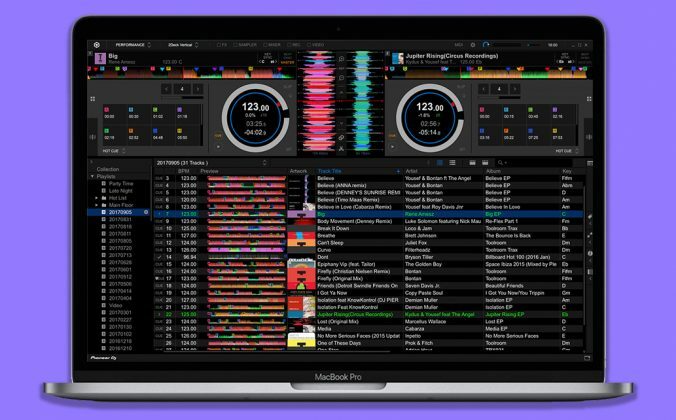 as NI is a hardware AND software company, this makes sense for the, just as because Serato is a software-only company, it makes sense for them, too. Our review model came only with DJ Intro, so I guess the limited early full version models are all sold out now. in the US most retailers still have the software deal. with the software at that price, this thing is a ridiculous steal! Awesome thanks for the update – we’ll alter the piece accordingly. Checked the Reloop site here: http://www.reloop.com/reloop-beatmix-4 and it still boasts the full Serato deal. So if your Beatmix 4 came without it, be sure to send them a note! They Led lights on the Jogs work on the full serato Dj but not on the serata intro. Is there a way to make them work on VDJ 8 because VDJ is my preferred software.